We currently sell Salsa, Surly, Scott, Reeb, Santa Cruz, Cannondale and Prevelo (kid specific) brand bicycles. Be sure to stop in to check out our full line of bike clothing and apparel, trail maps, our large inventory of bike parts and accessories, as well as energy food and trail snacks. We offer timely maintenance and repair services from tune ups and simple adjustments to custom builds and major repairs—all performed by certified mechanics. We carry many basic parts and can usually get you up and running the same day. Our mechanic certifications include: DT-Swiss wheel building, United Bicycle Institute suspension systems, and Barnett’s Bicycle Institute. Our current labor rate is $40/hour. We offer quality, current model year bikes in all sizes…including bikes for the kids. All rentals are tuned and cleaned after each use assuring you have a great experience on whatever trail you choose to take. Our bikes are suitable for the technical singletrack trails as well as the miles of gravel/rail-trail rides in the area. All bike rentals include a helmet and a repair kit equipped with a pump, spare tube, patch kit, tire lever and multi-tool to help with minor adjustments and flat tires. We will also point you in the right direction and offer advice on where to find the best trails and scenery for your riding ability. We have 29er’s, 27+, full suspension and fat tire bikes available for rent. Our hardtail and fat tire bikes rent for $40/day and the full suspension bikes rent for $80/day. All rental bikes are on a first come, first served basis. 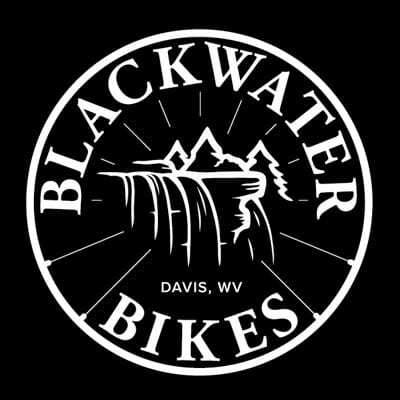 Blackwater Bikes is now offering shuttles to nearby trailheads. Have you wanted to bike the Blackwater Canyon Trail from Thomas to Hendricks but don’t want to climb the 1,200 feet in elevation back up the grade? Or, are you looking to bike the IMBA Epic North Fork Mountain Trail? Give us a call at the shop to inquire about shuttle schedules and pricing. We are located in beautiful Tucker County, WV in the historic town of Davis. You’ll find us right in the middle of town—next to Sirianni’s Pizza.